Freelancers do jobs online for an employer without any contractual bounding to any company or employer. Freelancers are free to work from anywhere and when they want to work, no formal jobs bounding are included in freelance jobs. Working from home, freelancers get paid only for their work, number and importance of jobs depends largely on reputation. Freelancers are usually responsible for every kind of work which is necessary to complete the job. Sometimes due to competition, freelancer tends to provide some extra services beyond the limits of their agreement. 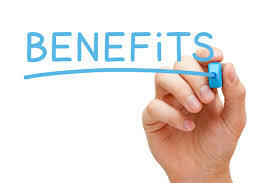 Freelance business is beneficial for both employer and freelancers as well. Employers or organizations can get a job done and pays less than it would to a salaried person. As freelancers can do more than one job at the same time, they can manage more jobs at the same time and can earn more as compare to salaried person. On the other hand freelancers work with different organizations and employers, they learns from the variety of projects handled thereby building a rich and diverse background. 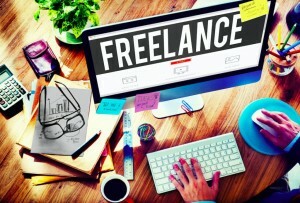 Freelancers may work more than one assignment; they can offer different kind of services. By offering different services to their clients they can grow their business rapidly. There are certain drawbacks doing jobs online. There is no commitment after the completion of current job. No one can guarantee that there wills continuous flow of jobs. As freelancers are not working under the wing of permanent employer so freelancers has no assurance of regular salary and other benefits for example health insurance, transportation or travel allowances and other expenses which may be necessary to get the job done. What Kinds Of Jobs Do Freelancers Do? Now with the revolution in information technology, freelancers are able to provide any kind of services through different job portals. The range of freelance online jobs is very vast. You can offer your services in different fields, some of them are as graphic design, writing and translation, business advisory services, financial services, online marketing, legal and medical transcription, web designing and development, networking administration, data entry and some freelancers do strictly research. Countless organizations and employer have projects that can be done by freelancers, Often a retired executive can be hired on the position of consultant. Many organizations tend to offer part time jobs like inventory controller or archive management jobs. However, today, freelancer writers in high demand and employers tend to pay more for unique writing. Demand for graphic and web designers are also on the peak and this can bring ongoing and continuous work. There are many things freelancers need to bear in mind, as freelancing is second name of flexibility. But everything in freelance business can’t be flexible. You should meet the requirements of each and every client. Your working style and procedure should confirm to client requirements. It is responsibility of freelancers to keep update the clients about their work, you have to keep the client posted the job progress and to check it if there is an alternation needed. This will help you to build trust worthy relationship with client. You need to be easy to get connected with clients by phone and email. Success in freelance business requires continuous efforts. It is best to do freelance online jobs part-time before venturing full-time. You can earn a lot of extra income doing freelance jobs part-time as freelancing can be internationally nationally or even locally. In this regard building and advertising a website and usage of email, marketing can promote your freelance business while social networking is very important for successful business. The best thing about freelancing is that you can own your own business and work from home.